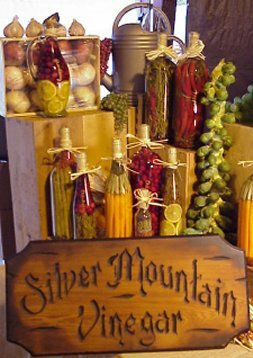 Since 1991, Silver Mountain Vinegar has been filtering their vinegar to the crystal clear state for everyone to see the flavor in the bottle. 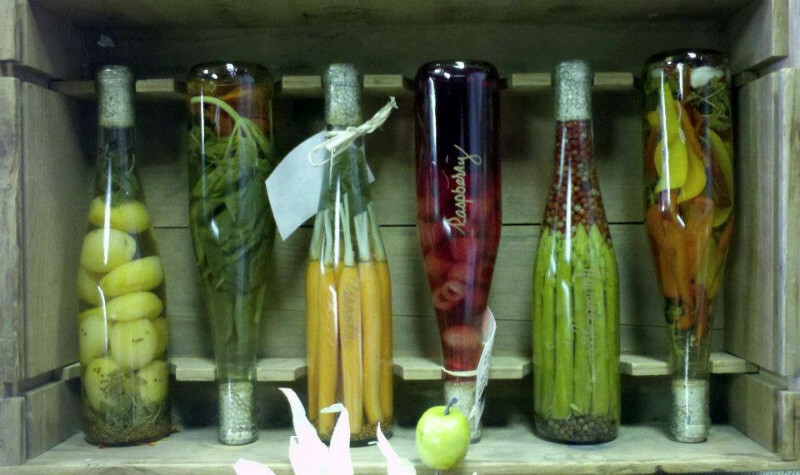 People have remarked, “It’s too pretty to open!” That’s why we make decorative vinegars in addition to our delicious vinegars for cooking. 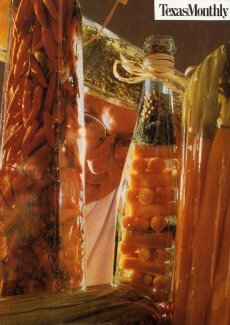 The decorative vinegars were featured in the October 1998 issue of Texas Monthly. 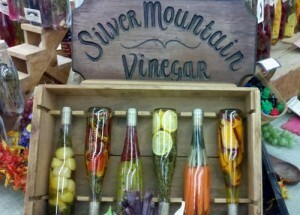 We are pleased to make our outstanding vinegars available to online shoppers. We are so confident you’ll find our vinegars the best you’ve ever tasted that we enclose a recipe with each order. 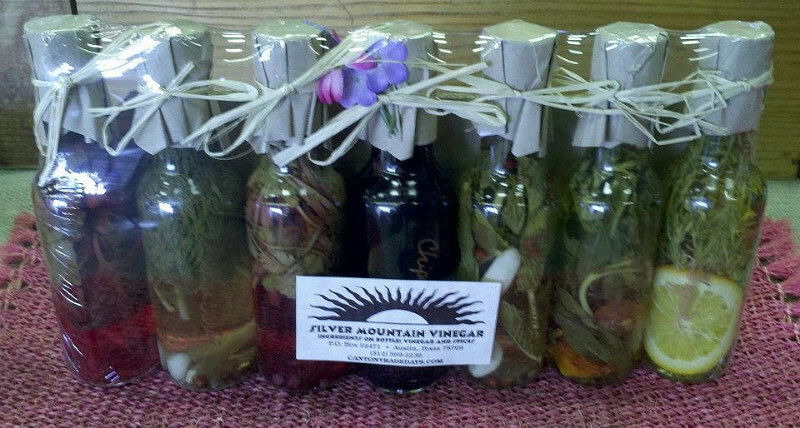 Choose from one of our two Gift Packs or purchase individual bottles of Vinegar. 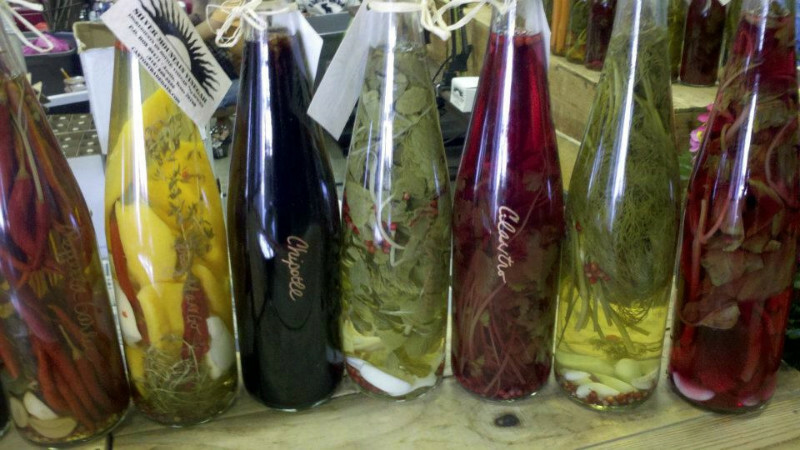 Our “5 Ounce Gift Pack” features 7 different 5-ounce bottles of our Vinegars. Our “12.7 Ounce Gift Pack” features 5 different 12.7-ounce bottles of our Vinegars. Individual bottles may be purchased in either 25.4 oz. or 12.7 oz bottles. 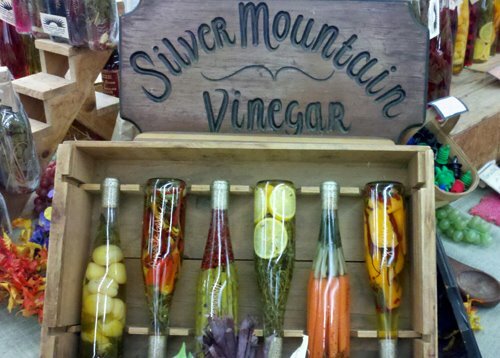 I love your vinegars. And would have loved to have some more of your recipes. I remember tasting several different setups at your booth and then wondering if I can get some more recipes like those.